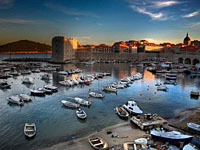 The origin of early Croatian culture Dalmatia is the largest and the most famous historic region of Croatia. It occupies the southern part of Croatia and it is an area of sun, warm sea, olives, wine, fish, poems and picturesque villages with houses made of stone – the real pristine Mediterranean. 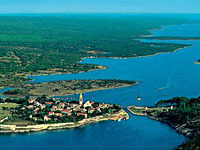 It is culturally the richest part of Croatia, in which five of the six sites are protected as World Heritage by UNESCO. 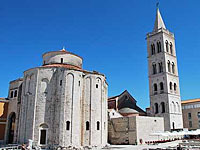 Since Dalmatia is often reached from the north, we are welcomed by the first of four Dalmatian tourist regions, the Dalmatia - Zadar region, which includes the Zadar County. Within Croatia, a culturally and naturally very diverse country, one of the most diverse parts is the Kvarner region, which is part of the Primorje - Gorski Kotar County. This region covers the coastal area of the Kvarner Bay along with numerous islands and most of the small historic province of the mountainous Gorski Kotar. 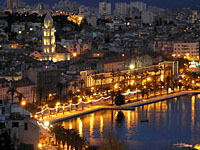 It is right here that the warm Mediterranean area, with stone houses and a rich medieval and Renaissance heritage, passes into the cooler central European areas with powerful fortresses, castles and Baroque churches Unlike Istria and Dalmatia, which were under foreign rule for a significant part of History, the area of Kvarner was under Croatian rulers from the early Middle Ages. Therefore, this part of Croatia highlights a number of autochthonous monuments of the Croatian culture. Starting from Zadar and moving towards the south, we come to the Dalmatia - Šibenik Region, known for its national parks Krka and Kornati. 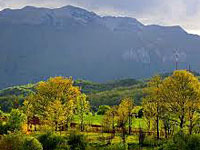 This region, which constitutes the Šibenik-Knin County, also has very valuable cultural heritage. 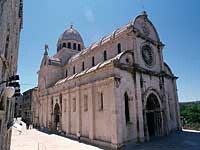 After all, the county itself was named after its two most important historical cities - the capital, and today the more important Šibenik along the Adriatic coast, and the second, but more important in the past, the royal town of Knin in the interior of the Dalmatian hinterland. The region of Lika – Karlovac is the largest of all the regions that lead out to the Adriatic Sea, and it is the biggest and the most sparsely populated part of Croatia. In addition to crude nature, the sparse population of this area has been influenced by its turbulent history, and frequent exposure to a number of wartime devastations, especially in times of battle between the Christian Europe and the Ottoman Empire. Consequently, we can find relatively few historical monuments here, and those which survived are in large part related to the rich military history.